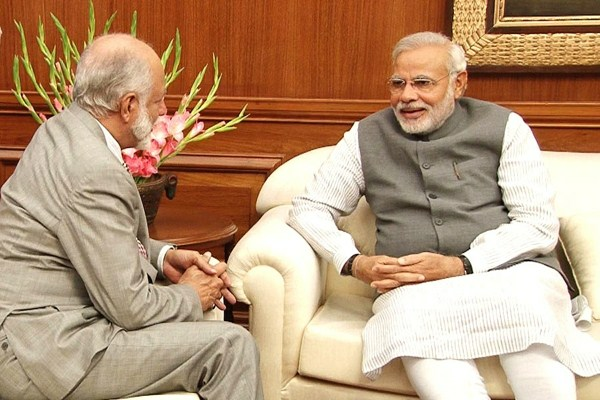 Omani Foreign Minister Yosuf Bin Alawi Bin Abdullah calling on Indian Prime Minister Narendra Modi, New Delhi, India, June 3, 2014 (photo from the website of the Prime Minister of India). When Oman’s foreign minister made two visits to India last year, once before Indian Prime Minister Narendra Modi’s new government was sworn in and once right after, it became the first Gulf Cooperation Council (GCC) member to commence high-level engagement with the new Indian government. The visits were also a signal that Oman continues to be India’s closest strategic partner in West Asia.